Why Did It Take Me 9 Years To Really Get My Skin In Order? Home/Blog/Why Did It Take Me 9 Years To Really Get My Skin In Order? Believe it or not my skin has not always looked this good! And my skincare was, how can I say this – was a little hit and miss. And for a while life was a little complicated. However, a tsunami of looming significant events made me re-examine my skin and I what needed to do look better than the picture below. And later in 2018 – My Wedding! So what did we change? In the past my main concern was congestion (a serious history of acne) and I had largely ignored my pigmentation (which we discovered was pretty awful – check out my 2014 photo). We both re-assessed my homecare –we increased my concentration of Vitamin A, ditched my Vitamin C and introduced a skin lightening and brightening serum and a AHA/BHA serum. I increased my home exfoliation to twice a week and home masks at least once a week. While this looks intense it really own takes 5 minutes – honestly it takes me longer to clean and floss my teeth! So what about clinic treatments? This time my clinic treatments were to be targeted, timely and consistent rather than my previous ad hoc arrangements. As always we went back to basics. 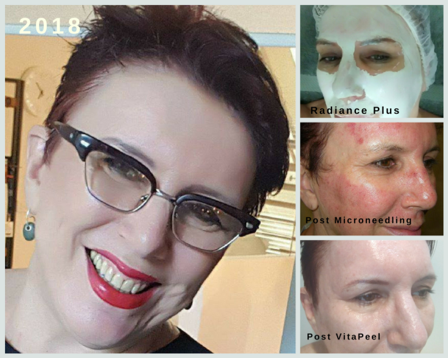 Starting with some repairing skin workouts and LED (Light Emitting Diode) to get my skin in balance – hydrated, healthy and acclimatised for more advanced treatments. Did it happen overnight? No, of course not. 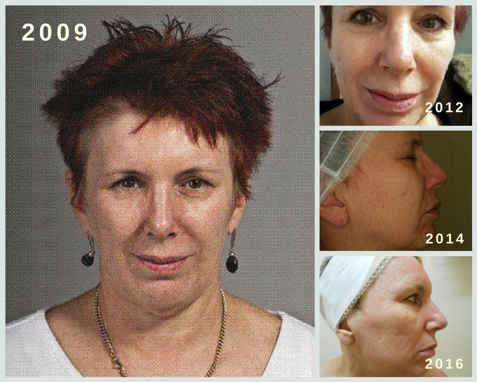 I needed to make a decision – practice what I preach and getting my skin looking the best it possible can without Botox, fillers or surgery. If you want to know how you can look younger for longer and sooner (give us 90 days) please call 49578493 for your complimentary skin consult or email us in the contact form below. #11 Using soap to clean your face? Then your skin is going to look like crap…. #10 Is your Skin Sensitive Or Sensitised? #8 Yearn for long, lush lashes but hate the thought of fake lashes? #7 Do I really need an exfoliant?